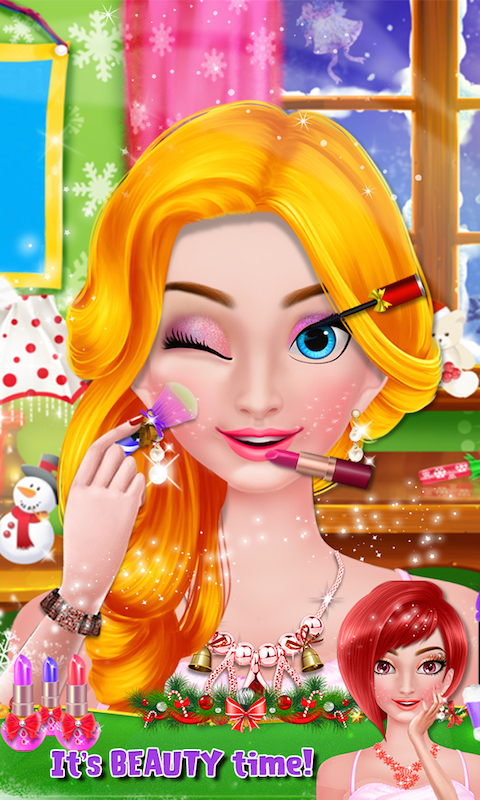 Hello girls, get ready to give a Christmas makeover to your Christmas Princess to look different in the celebrations. 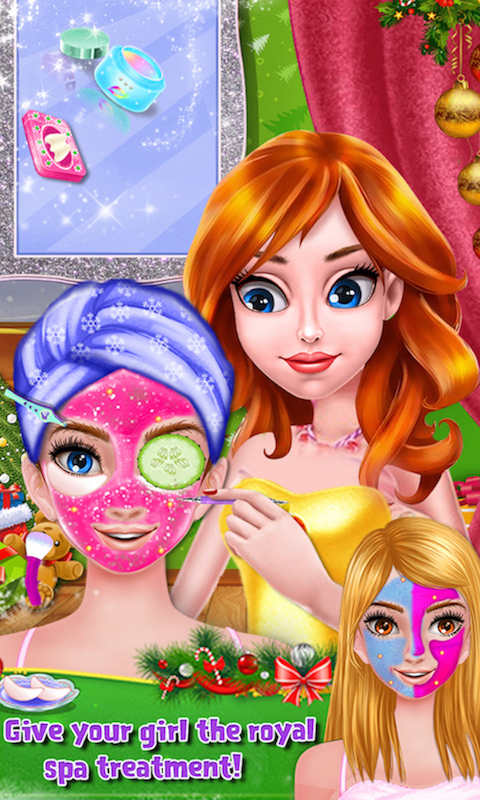 It is the best makeover and salon girl game. Here in this game our beautiful Christmas Princess wants to get ready for Christmas celebrations. Can you help her? First use the shampoo, hair cream and wash the princess hair. Then clean her skin with an amazing spa treatment. After that, create different looks by choosing amazing makeup like eye lenses, eyeliner, eye shadow, lipstick, blush, different hairstyles, earrings and much more. Then select the best dress up for her like a dress, gloves, bags, jewelry, funky stockings and much more. 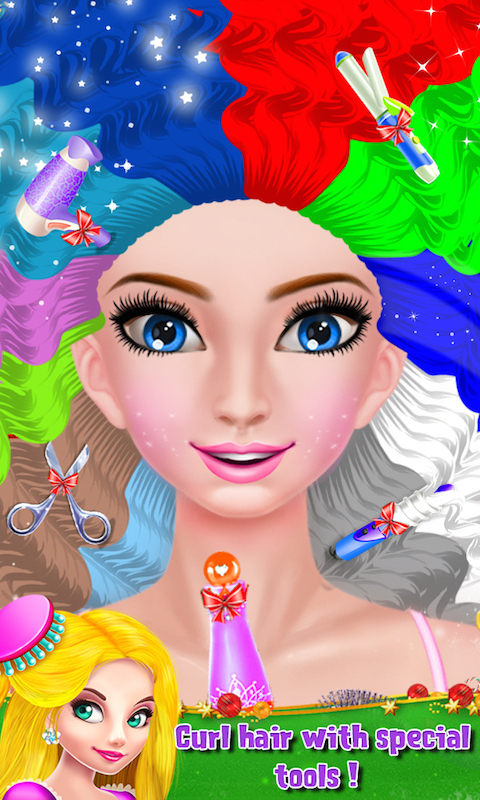 After completing all the makeover activities select a good background and take a picture of princess girl.